How do I.....? ALL Library FAQs Borrow MUSEUM PASSES? CALL library departments? 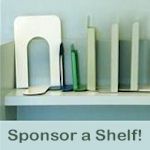 DONATE to our library? Download/stream free AUDIOBOOKS, E-BOOKS, TV & MUSIC? FIND BOOKS, CDs, OR DVDs? Find a list of NEW ITEMS or BESTSELLERS? Find out about KIDS' PROGRAMS at the library? Find out about ALL PROGRAMS at the library? Find out what FINES I owe? Find out what ITEMS I HAVE CHECKED OUT or ON HOLD? Find out WHEN THE LIBRARY IS OPEN? Get a document NOTARIZED? Get a LIBRARY CARD? Learn about library SERVICES and POLICIES? RENEW borrowed items? RESERVE materials? Reserve a QUIET STUDY or MEETING ROOM? Request an INTERLIBRARY LOAN? SEARCH magazines and more? 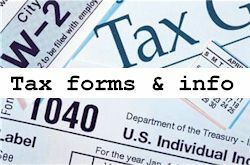 Send or receive FAXES at the library? 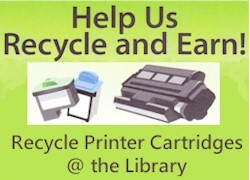 Send the library a COMMENT or SUGGESTION? Sign up for E-NEWSLETTERS about books? 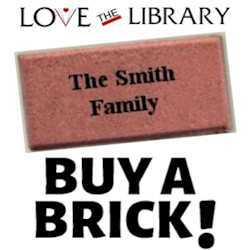 SUPPORT OUR LIBRARY? Use COMPUTERS at the library? VOLUNTEER at the library? Community & Social Services NEW! BILINGUAL STORYTIMES @ THE LIBRARY! ENGLISH CONVERSATION GROUPS @ THE LIBRARY! JOB SEARCH COACHING @ THE LIBRARY! COMPUTER TRAINING @ THE LIBRARY! HOMESCHOOLING SUPPORT GROUP @ THE LIBRARY! HOMEBOUND DELIVERY from THE LIBRARY! Looking for fun things to do locally? Click here for our ''STAYCATION'' Guide! PLEASE NOTE: Hours are subject to change. For holidays, closings and cancellations, please check the Library Calendar, Emergency Closings information, and our Facebook page. Showing: Mary Queen of Scots. Rated PG-13, running time 124 min. Presented free; registration is NOT required. 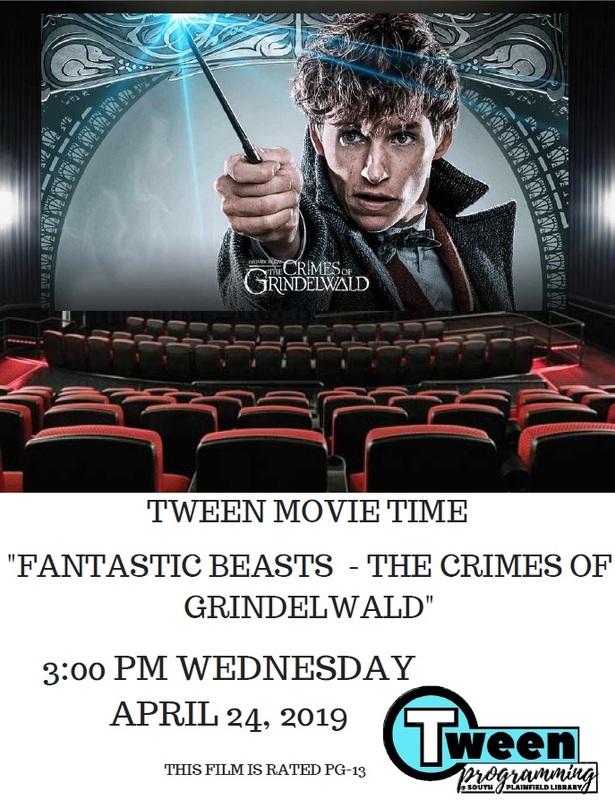 Showing: Fantastic Beasts - The Crimes of Grindelwald. Rated PG-13. Coloring isn't just for kids anymore! It's a fun way to relax and get in touch with your creative side... at any age. Registration is not required. We'll provide all the materials - just come and enjoy! This program will be held at the Senior Center. 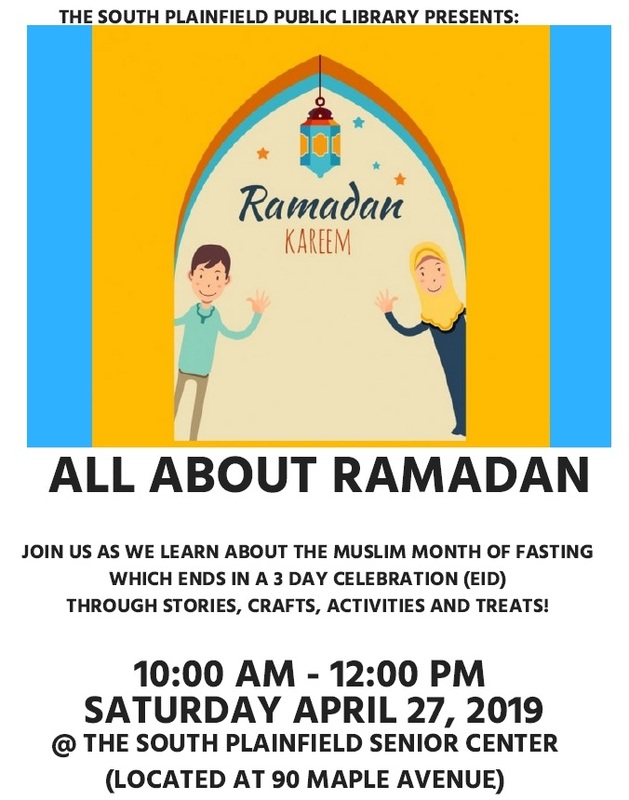 Come and learn about the Muslim month of fasting which ends with the 3-day celebration of Eid. There will be stories, crafts, activities, and treats! For adults and teens age 14 & older; registration required. All ages; this program will be held at the Senior Center. 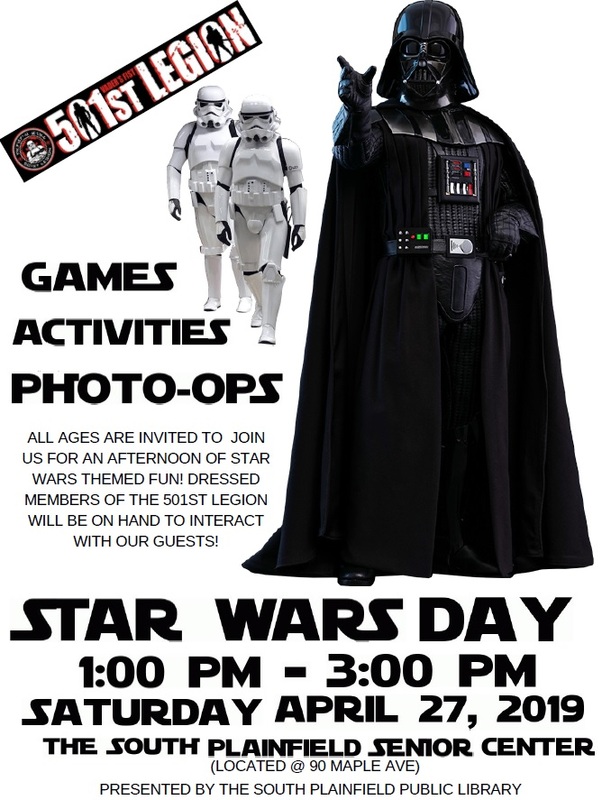 Join us for an afternoon of Star Wars fun, with a special appearance by the 501st Legion Vader's Fist... plus Star Wars games, activities, and photo ops! Registration required. In this living history presentation, actor/historian Bob Gleason portrays the self-taught, determined, highly individualistic man who rose from poverty to become one of our greatest Presidents. In this portrayal, Gleason will talk about the formative years of this great man. He will lay out the causes leading up to the war, and major events & turning points within the War itself. He will expand upon how he raised himself up from his humble beginnings to become the man who united a splintered nation, and reaffirmed through his Gettysburg Address the nation's dedication to freedom, democracy and equality. Bob's voice and his laugh add authenticity to his performance, and the down-to-earth humor the two men share creates a believable, approachable Lincoln. Enjoy and learn at this first-person living history presentation by the American Historical Theatre! Showing: Instant Family. Rated PG-13, running time 120 min. Popcorn is provided! Presented free; registration is NOT required. Click here to see the schedule for upcoming movies. NEW LIBRARY CATALOG & NEW RESOURCES LAUNCH - MAY 1st, 2019! Showing: Instant Family. Rated PG-13, running time 120 min. Presented free; registration is NOT required. For older adults; registration required. An interactive presentation on brain health. There are routine maintenance activities we can do on a daily basis that helps to keep this 'master computer' healthy and in working order, even as we age. Diet, physical exercise and proper rest will be touched upon. There will also be games and exercises played that stimulate and exercise different areas of our brain to help increase our memory. A strongly exercised brain can help keep our memory strong! Presented by Horizon Blue Cross Blue Shield of NJ. Limited to 9 participants; registration required. Keeping track of your health statistics is not an easy task. If you are not properly equipped, you probably are not checking your vitals and numbers in between doctor visits. Horizon Blue Cross Blue Shield of NJ has developed a screening program that is free of charge and offers a variety of screenings to provide baseline comparison for you. Available Tests Include: Blood Pressure, Cholesterol, Glucose and BMI (upon request). Registration required. Beautify your garden with flowers and flowering herbs that are safe to eat! Certain flowers are not only beautiful to behold, but also edible. Please join us as we explore the world of edible flowers, try our hands at creating candied flower petals, and sample a floral treat. Presented by Althea Llewellyn, an Environmental Educator at the Reeves-Reed Arboretum, and a Square Foot Gardening Specialist. She wants to empower individuals to grow their own food, and wants everyone to discover that anyone can develop a green thumb! Showing: A Dog's Way Home. Rated PG, running time 96 min. Popcorn is provided! Presented free; registration is NOT required. Click here to see the schedule for upcoming movies. Showing: A Dog's Way Home. Rated PG, running time 96 min. Presented free; registration is NOT required. Registration required. Most people run a daily gauntlet of stresses that can cause serious adverse effects on their health and lifestyle. Join Dr. Ken Freedman and attend this powerful, free workshop to discover what you can do to safeguard yourself and function better in today's highly stressful world. For related resources, see our Meditation & Stress Reduction Webfinder. Showing: 8½ (1963). Director: Frederico Fellini; stars Marcello Mastroianni, Anouk Aimée, and Claudia Cardinale. This landmark film explores the memories and fantasies of an Italian film director. Presented by the Plainfields' chapter of UNICO. ALL FILMS ARE FREE AND OPEN TO THE PUBLIC. Free popcorn. Donations to UNICO'S Scholarship Fund gratefully accepted. Click here for the 2019 Italian Film Festival schedule. Click here for a printable APRIL ADULT PROGRAM CALENDAR! Click here for MORE KIDS PROGRAMS! For the schedule of ongoing children's programs (storytimes, book clubs, playtimes & more), please visit our Kids page. For the schedule of ongoing programs for teens, please visit our Teen page. 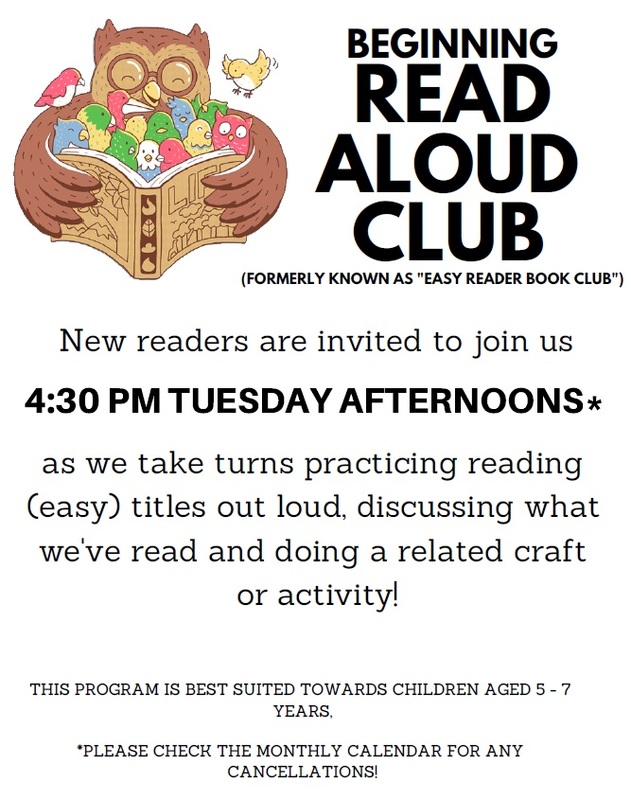 The afternoon book club usually meets on the second Tuesday of every month at 4PM. Join us for great discussions about fascinating books! At the May meeting, we'll be discussing New Boy by Tracy Chevalier. All are welcome! CLICK HERE for the list of reading selections for 2019. Calling all mystery lovers: Join us for the South Plainfield Mystery Book Club! At our May meeting we'll be talking about Uniform Justice by Donna Leon. All are welcome! CLICK HERE for the full list of reading selections through June 2019. For parents. Please check the Children's Room Calendar for schedule. Are you curious about homeschooling? An experienced homeschooler who would like to meet others? A seasoned homeschooler who is willing to share your experience? 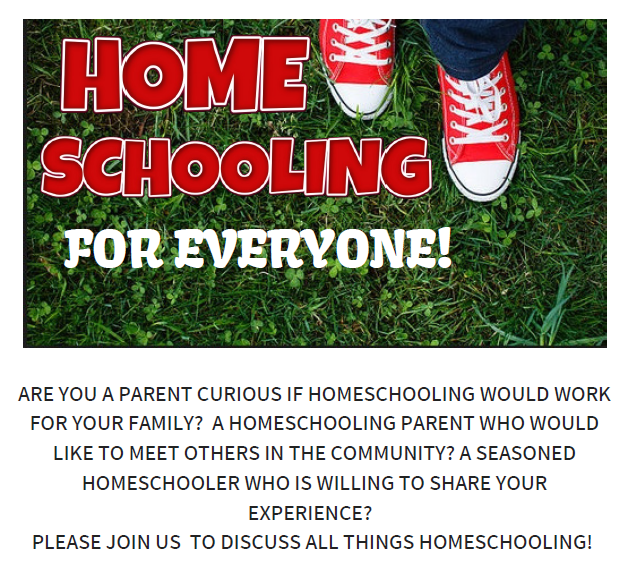 Please join us to discuss all things homeschooling! ***MONDAY APRIL 22nd ESL GROUP MEETING CANCELLED! *** Would you like to practice speaking English in an informal setting? The more you talk, the easier it gets! 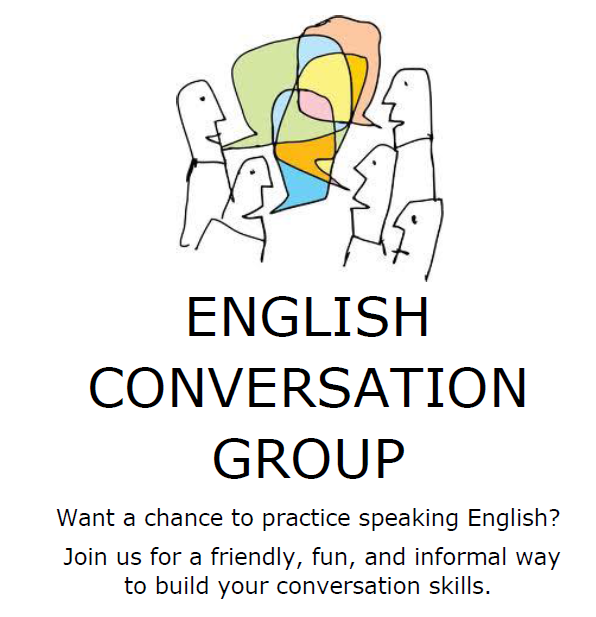 If you would like to practice English, join our conversation group for ESL students and all learners. Native speakers of any language are welcome. Registration is appreciated, but please feel free to drop in to either group that is convenient. You may register at the front desk. Ask about our self-guided practice program! JOB SEARCH COACHING - MONDAYS BY APPOINTMENT ONLY! We are pleased to announce that we will be partnering with the Professional Services Group of New Brunswick (PSGNB) to offer a program to help job seekers with writing resumes and other job search skills. Beginning in June, PSGNB will provide a volunteer to hold on-site, one-on-one coaching sessions customized to meet the needs of the individual job seeker. Sessions will be by appointment only on Mondays from 1:00 - 4:00 PM, and at other times subject to availability. PSGNB is a member-supported organization that has helped over 9,000 people find their next job. They provide free Job Search Skills Seminars and a Job Seeker Support Group at the Piscataway libraries. Visit the PSGNB website for details. To sign up for an appointment, please call or visit the South Plainfield Library. Click here for a printable flyer. For links to helpful job-searching resources, see Useful Websites: JOBS & CAREERS. Need some computer help, or just a quick refresher on how to use Word, Powerpoint, setting up an email account, or just some Internet basics? Call or stop by the library and sign up for an appointment with a member of the Reference staff. Someone will work with you between 45-60 minutes. Click here for a flyer. Brand new DVD releases are usually (but not always!) shown on Mondays at 6:30 PM and usually (but not always!) re-run on Wednesdays at 12:30 PM. Presented free; Registration is not required. CLICK HERE to see the schedule of upcoming movies. 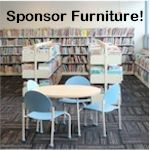 The Friends of the South Plainfield Public Library is a non-profit organization whose members support the Library through advocacy, volunteer services, and fundraising. 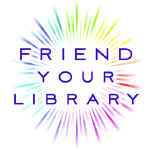 Friends of the Library meetings are generally held on the fourth Thursday of the month, at 7:00 PM in the library. All are welcome! Please call the library to confirm time and date. The Library Board generally meets on the second Tuesday of each month at 6:30 PM at the South Plainfield Public Library. All are welcome! Meeting schedules are subject to change. For upcoming meeting dates, please check the Library Calendar. There are so many different ways you can love your library. Click the 'How to Love Your Library' graphic to find out more! PLEASE NOTE: We are not taking book donations at this time. The next collection period will be in AUGUST 2019. We happily accept monetary donations year-round!